Imperx, Inc., announces the release of its Cheetah 5-MP, and 3-MP CMOS cameras using Sony Pregius image sensors. The camera’s GigE Vision PoE interface and streamlined dimensions simplify camera installation while the camera’s efficient and flexible feature set jumpstarts your system integration. 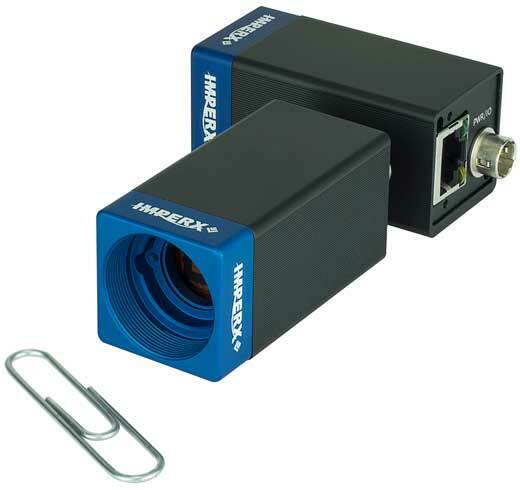 The cameras extended temperature range increases durability making these cameras perfectly suited to industrial, automation, and machine vision applications. The cameras are both outfitted with a standard “C” type lens mount, but the 5-MP camera has a larger 2/3” optical format while the 3-MP camera has a 1/1.8” format. Both cameras provide selectable 8, 10, or 12-bit outputs. The Sony Pregius sensors have global shutter and 3.45-micron square pixels delivering high sensitivity and dynamic range up to 71dB. These small cameras are only 29mm wide by 60 mm long and ideal for motion capture and high-quality images in space-restricted applications. The cameras are Gen<1>CAMTM compliant shortening your software development cycle. The C2400 camera is a 5-megapixel camera using the IMX264 sensor with 2464 x 2056 resolution and a 2/3” optical format. The camera achieves frame rates up to 22 fps. The C2000 camera is a 3.1-megapixel camera using the IMX265 sensor with 2064 x 1544 resolution and a 1/1.8” optical format. The camera achieves frame rates up to 36 fps. Learn more: C2400 & C2000. Photo: The Cheetah series 3.1 MP & 5 MP PoE camera with temp range of -30 °C to +70 °C @ 36/22 fps.